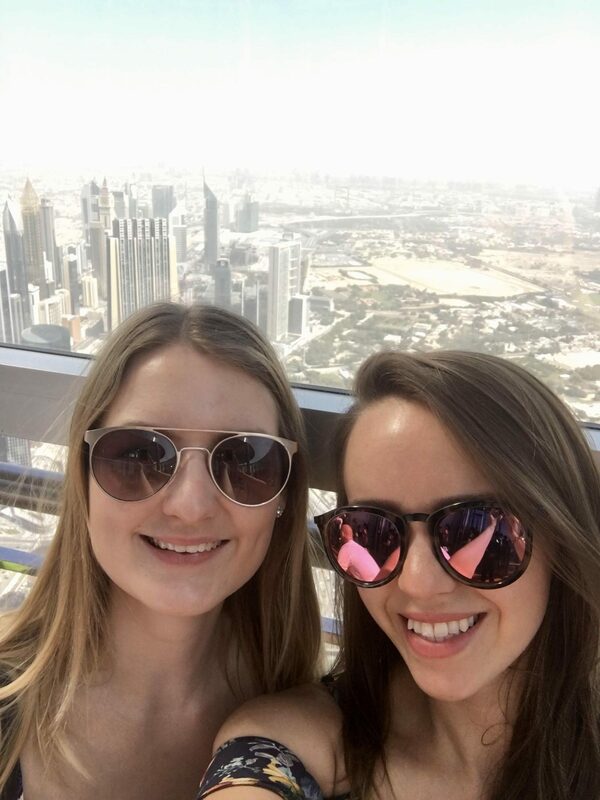 Last month my best friend Lucy came to stay for a little getaway in the sunshine, and we made sure to make the most of her time here in Dubai. Having already visited before, there were plenty of things she’d done already, but still many more to tick off the list! 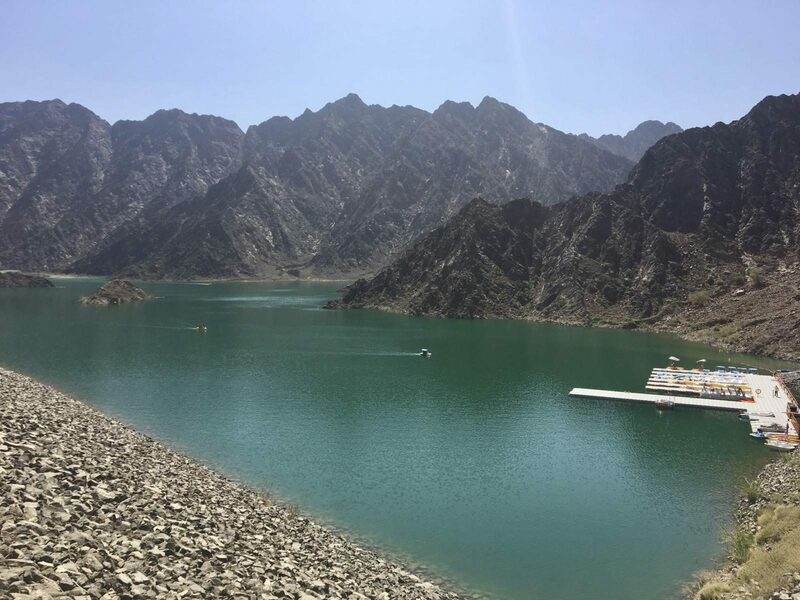 From Dubai it’s just under a 2 hour drive to Hatta, the mountainous region in the Hajar Mountains. If you’re driving make sure to avoid the route that takes you via Oman – otherwise you’ll accidentally end up at the border like we did and add an extra hour onto your journey, oops! 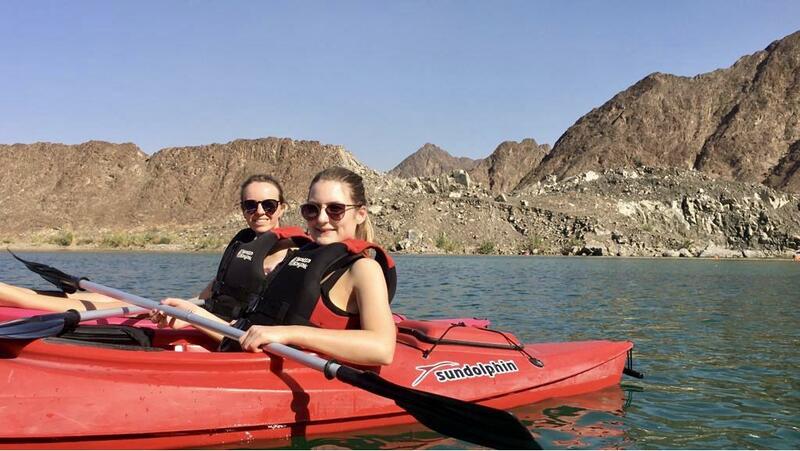 Once you arrive you can easily follow the signs to Hatta Kayak, which takes place in the dam. 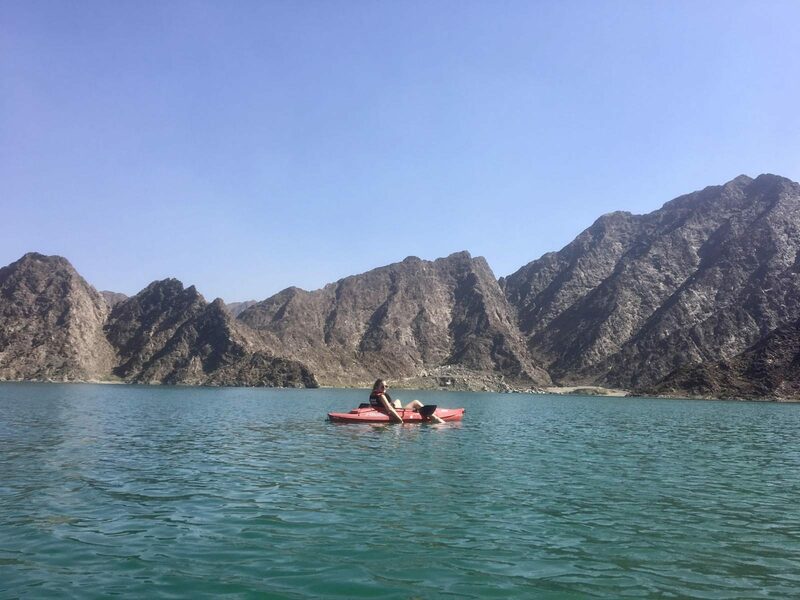 It’s 60 Dirhams per person to rent a kayak, which you can take out on the water for as long as you like. Bear in mind that you can’t stop and get out anywhere, and it’s pretty much all in direct sunlight. We’d taken a picnic with us, so sat in the shade and had our lunch, before heading out on the kayaks! 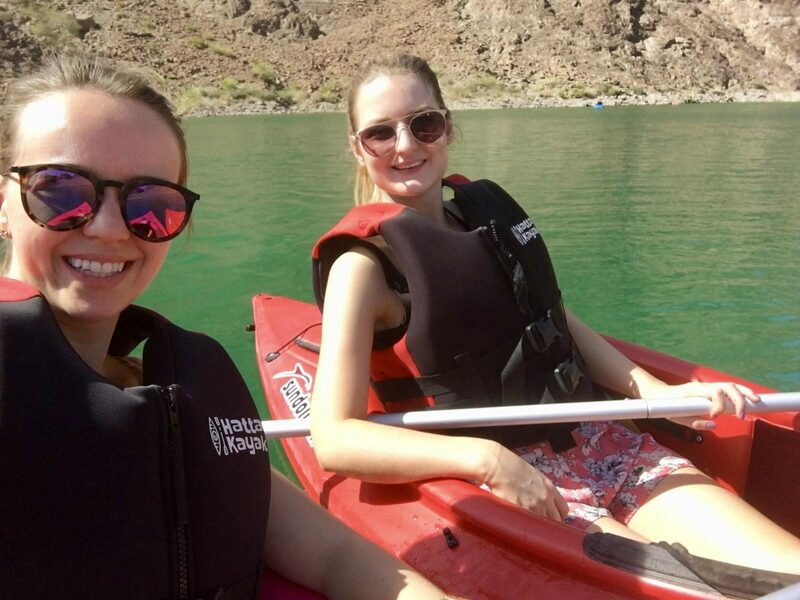 Once you’re on the water you can paddle out to all of the hidden corners, and parts that are hidden by the mountains. We sat with our legs out for a bit, trying to catch a bit of colour! After a couple of hours out on the water, we were starting to feel a bit hot, so decided to call it a day and head back to Dubai. 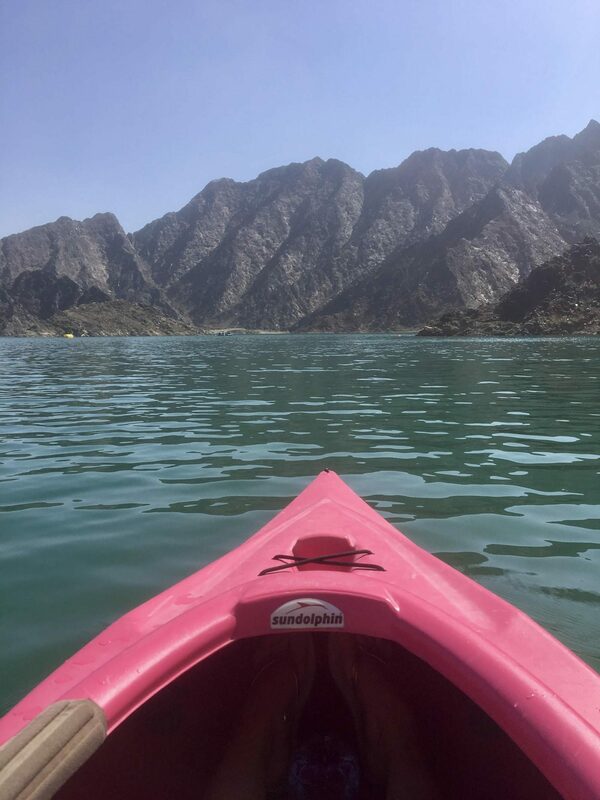 Hatta Kayak is something a little different to do than the typical tourist attractions in Dubai, and we loved it! Now, speaking of typical tourist attractions…it was time to tick off the final item from the bucket list! 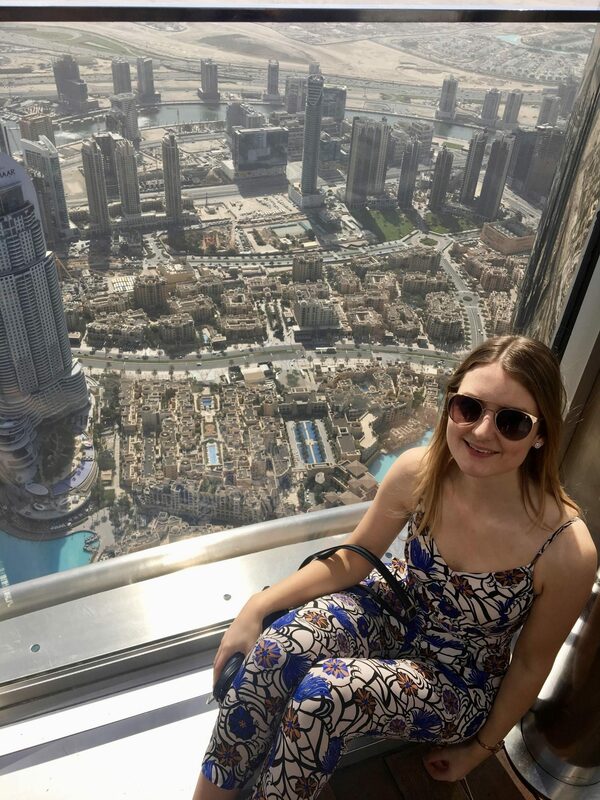 Last time Lucy was here we didn’t go up the Burj Khalifa, so this time I made sure to book tickets in advance for an early spot. I would definitely suggest going earlier rather than later – we went around 10am, and by the time we came back down the queue was more than triple the size. 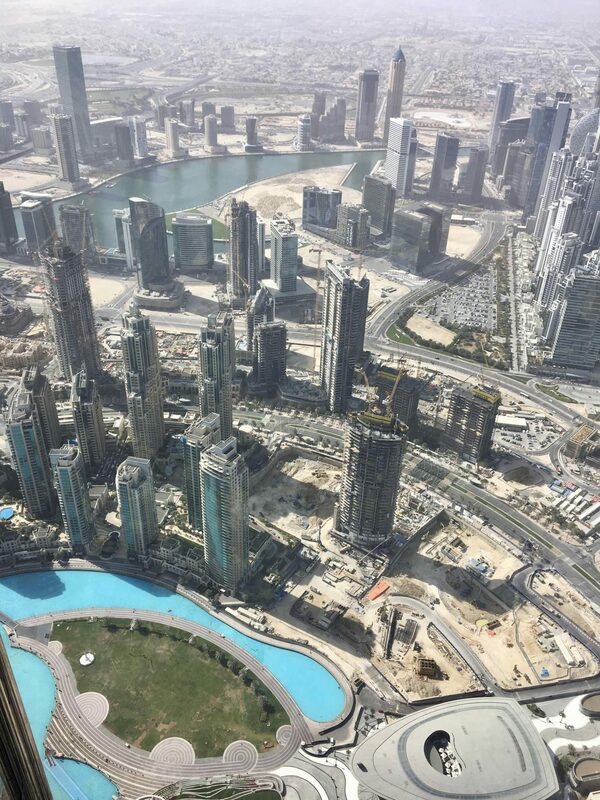 Despite having been up the Burj Khalifa, the tallest building in the world before, the view doesn’t cease to amaze me! We strolled around the viewing platform, taking everything in. 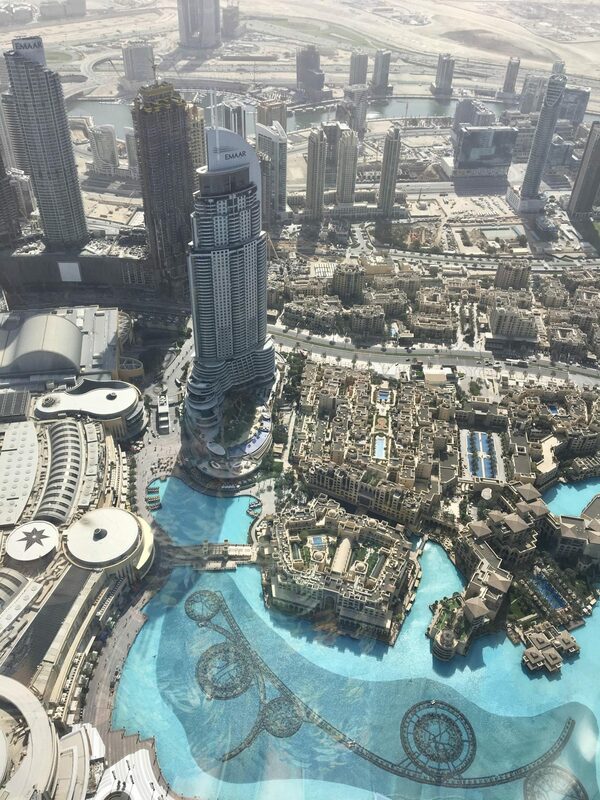 I love seeing the Dubai Fountains from above, the water is just so blue! You can go up a level once you’re at the top as well, or you can choose to do the slightly higher levels which of course comes at a higher price. I would say it’s probably not necessary to pay the extra to go a few levels higher – the regular access is still pretty impressive at level 124! Having worked up an appetite taking plenty of pictures, it was time for lunch. 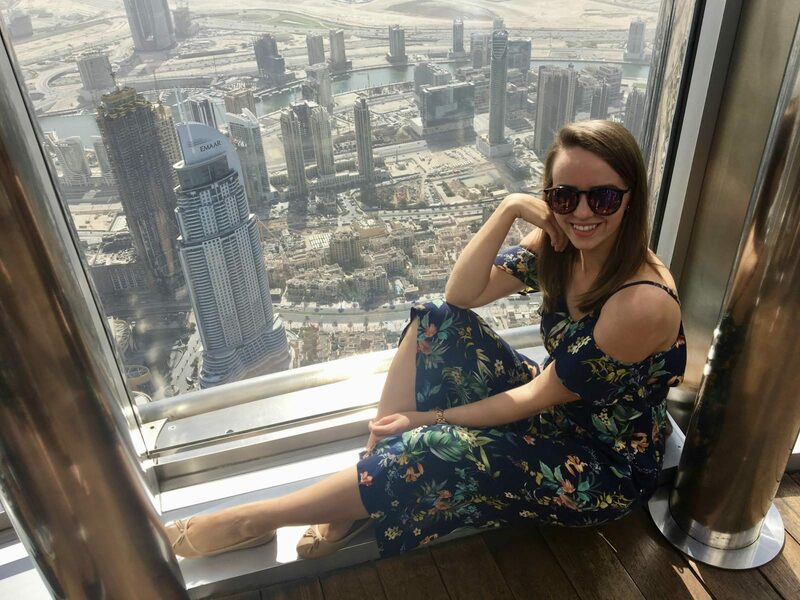 We strolled back through Dubai Mall to one of my favourite spots, Social House, for a bite to eat. 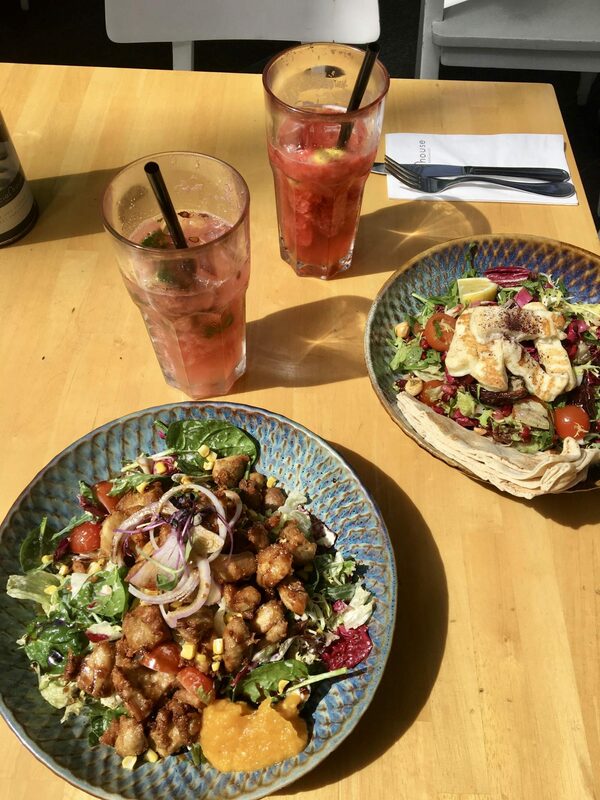 The great thing about the Social House is the location – you’re just across from the fountains so can easily watch the show, and luckily for us it was the perfect timing. Normally the main fountain show is on in the evening (every half hour from 6-11pm), but they also have 2 at lunchtime. 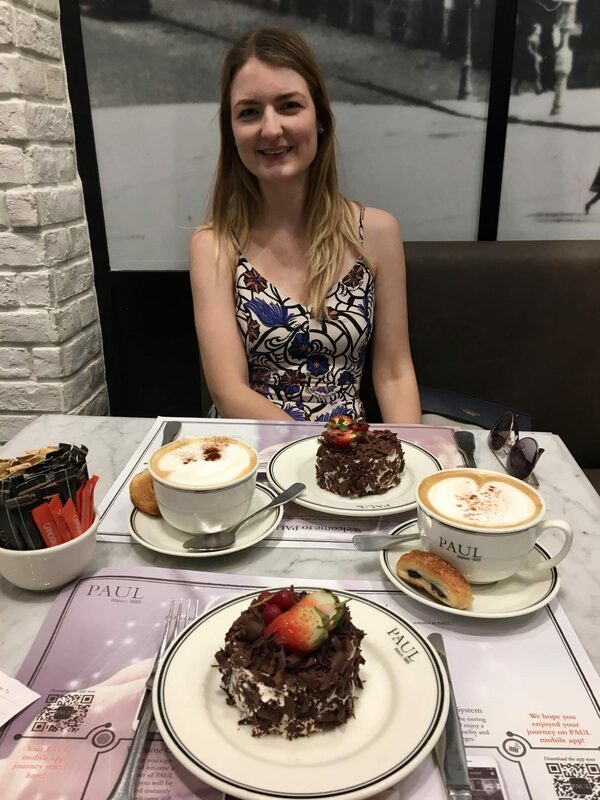 After our lunch we had a browse around the mall, and finally treated ourselves to some delicious coffee and cake to round off the afternoon.